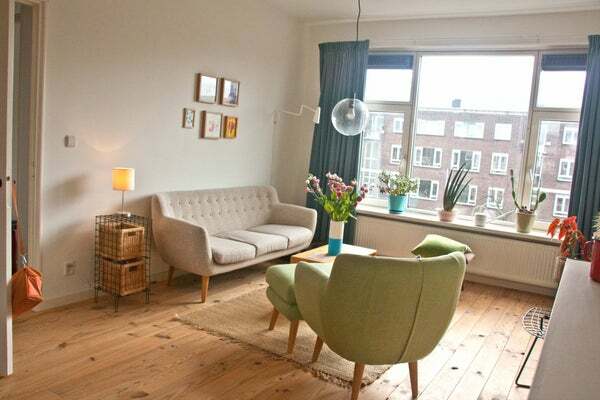 New for rent lovely 3 rooms apartment with a lot of light located in the popular neighbourhood ‘Blijdorp’, public transportation, shops and restaurants are within walking distance. The apartment has a bright living room with half open kitchen. The kitchen is equipped with various appliances. Balcony can be entered from living room and kitchen. Bedroom 1 with double bed and wardrobe, Bedroom 2 with desk and wardrobe. Modern bathroom with bathtub, shower cabin, sink and toilet.